Create an unforgettable first impression with a Stone Paved Driveway. The effect is breathtaking. Gorgeous and durable, Stone Pavers stand up to snowplows, snow blowers and shovels in the winter months. Stone Pavers are designed to move with the frost, so cracking is virtually non-existent. Pavers lend a distinctive touch to the overall character of your home, whether your style is Old World, casual or contemporary. 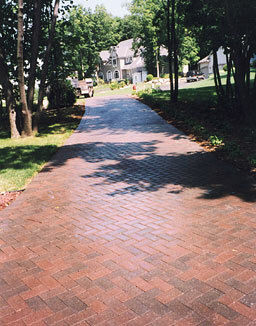 Pavers come in a wide array of colors and styles.